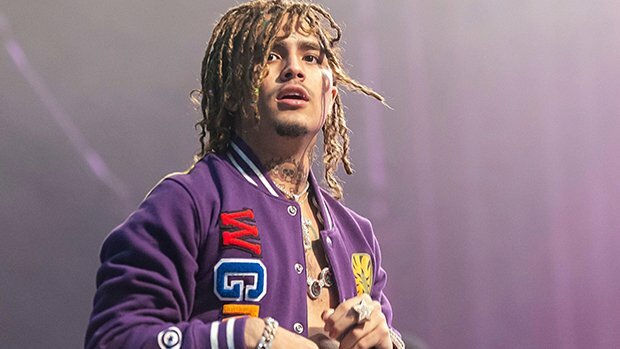 Lil Pump landed himself in hot water on Dec. 13, after he got into an altercation at the airport! The rapper was arrested, and we’ve got the mugshot here. In the hours before Lil Pump, 18, released his new song, “Gnarly,” with Kodak Black, 21, he landed himself in the slammer. The rapper was kicked off a plane in Miami, and arrested on Dec. 13, according to TMZ! In the scuffle, which reportedly was incited by suspicion of drugs in Lil Pump’s bag, the rapper and his crew got into an argument with TSA agents. Pump was arrested along with his manager, because they allegedly became disorderly during the dispute. Needless to say, the flight never got off the ground. Sources close to the rapper denied that there were ever drugs in his luggage, and added that they felt the pilot was being accusatory. TMZ also reports that when the bag, which was owned by a member of Pump’s crew, was opened, no drugs were inside. Law enforcement sources now confirm Pump’s story, the site claims. The incident occurred on the eve of the release of Pump’s new collaboration with Kodak Black. While Pump’s flight never got off the ground, the track hit streaming services at midnight as planned, and fans fell in love with the joint track! “Gnarly,” serves as track no. four from Kodak’s latest release, Dying To Live. Other features on the record include Offset, Travis Scott, and Juice WRLD. Apparently, Pump wasn’t too torn up about his arrest – he was all smiles in the mugshot! This isn’t the first time we’ve seen the hit-maker land himself in some hot water. The rapper was previously detained in Denmark, back on Dec. 4. Police in Copenhagen reportedly detained the rapper for taunting them! The incident even resulted in the rapper’s concert being cancelled that night. Pump later took to Instagram Live and flipped his middle finger at the city’s police, which led them to keep him overnight. Millie Bobby Brown Stars in Trailer for New ‘Godzilla’ Movie!